This is the week leading into Lollapalooza, so preparty shows are popping up like crazy. On Wed 7/30, there's Courtney Barnett at Schubas, Twin Shadow at Metro, and Interpol at House of Blues. If Lolla bands aren't your thing, there are bunch of other great shows to catch during the first half of the week. On Tues 7/29, fuzzy indie rockers Crocodiles play at Empty Bottle, and jazz singer Dee Alexander plays at the MCA. On Wednesday, there's rapper Lil Debbie at Subterranean, noise rockers KK Rampage at Burlington, and a great local-music showcase headlined by Dead Native and Hollow Mountain in the basement of the Double Door. There are a few more top picks from some Reader writers below. 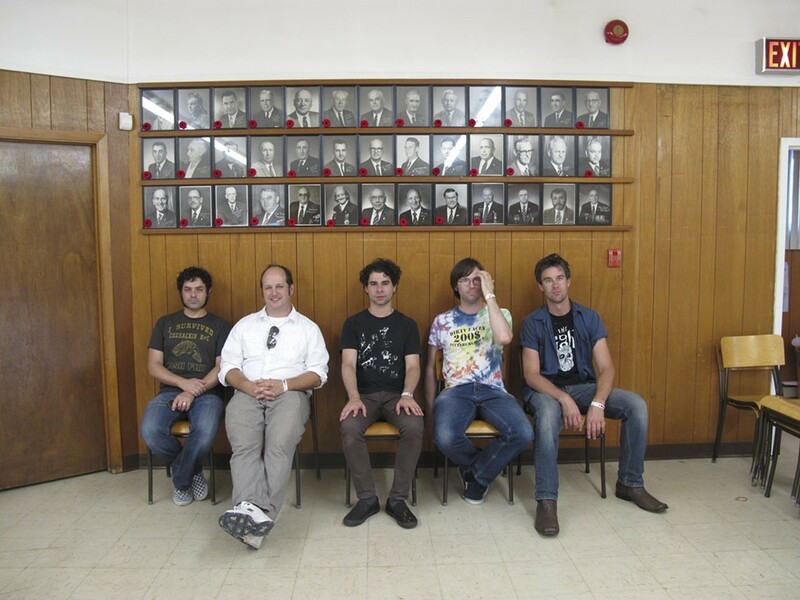 Long-running New York experimental act Oneida comes to Empty Bottle on Wednesday. "Longtime Oneida drummer Jon Colpitts (aka Kid Millions) was just in town as Man Forever, leading extended polyrhythmic excursions with New York new-music heavies So Percussion," writes Peter Margasak. "His drive to find new challenges and approaches in his music has a counterpart in Oneida's aesthetic restlessness: over its previous few albums, it's backed away from the blistering art-rock of yore to demonstrate a sort of volatile delicacy. The 2011 release Absolute II is meditative, droney, and touched by improv, with beats hardly figuring into the end result. On the group's most recent album, 2012's A List of Burning Mountains, Colpitts's drums are a key presence once more; snare bombs puncture rumbling kick-drum volleys over a lacerating field of distorted keyboards and guitar noise." "On the cover of his most recent album, Border-Free, explosive Cuban pianist Chucho Valdes wears an enormous feathered Native American headdress—a reference to a tune of his called 'Afro-Comanche,' which honors Comanches deported by Spanish soldiers in the late 18th and early 19th centuries from what would later become the southwestern U.S., many of whom ended up in Cuba (via Mexico and Spain) and integrated into the island's community," says Peter Margasak. "The message is clear: people, like music, aren't contained or defined by geography. Few musicians have embodied that idea as thoroughly as Valdes, who cofounded influential Cuban jazz-fusion group Irakere in 1973; with his protean talents, he's obliterated the boundaries between Cuban tradition and jazz tradition. The name of his current group is of course a hat tip to Art Blakey's Jazz Messengers, and though the original tunes nod to Latin music (propulsive clave-based polyrhythms, ubiquitous percussion breakdowns, et cetera), they usually follow the durable 'theme followed by improvisation' structure that's endured in hard bop for six decades." There'a a massive heavy-ambient team-up at the Owl this week. My pick of the week was Wrekmeister Harmonies. In Soundboard, I wrote, "Lately most Wrekmeister Harmonies performances have been of 'Run Priest Run,' a 30-minute slow burn of dark, spaced-out guitar and synthesizer, with Robinson in a duo with Mark Solotroff of Bloodyminded and Anatomy of Habit—a master of bleak sonic punishment himself. For tonight's version, German experimental musician Alexander Hacke—a member of legendary avant-garde industrial band Einstürzende Neubauten—will join the heavy drones on bass and electronics. Robinson and Hacke have performed together in Europe, but this will be the first and possibly only set by the trio with Solotroff. Hacke will undoubtedly add a gigantic, grim exclamation mark to the already crushing atmospheres."